This has never really occurred to me, but glass shelves add extra storage space while still keeping a space feeling open and airy. I love this idea for the kitchen so that your herbs can grow big and healthy. This tutorial shows you how to easily do this with quarter round! The hardest part is all of the measuring, but a glass manufacturer can do all of the cutting for you. 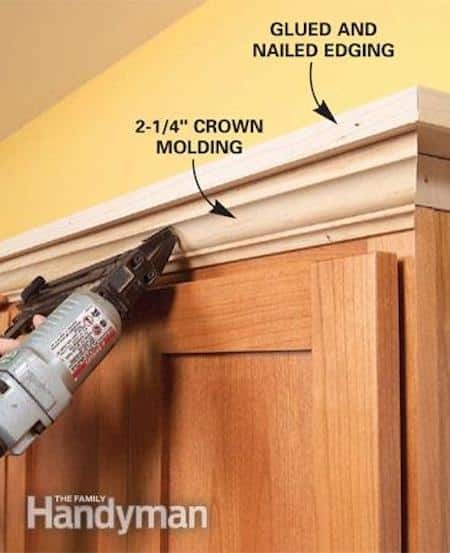 Molding and trim seem to be the key in making your home feel and look more custom, and the top of your cabinetry is no exception. If you have cabinets that don’t quite reach the ceiling, this project is for you. Check out the step-by-step instructions for this project over at Family Handy Man. 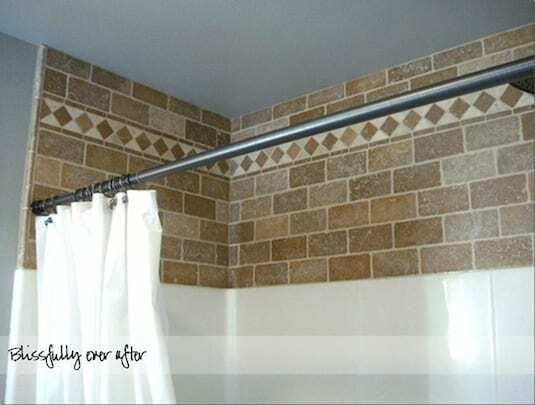 Customize your shower insert by adding natural stone or tile to the area just above where it doesn’t quite meet the ceiling. This will make the entire shower feel and look more upscale. And when the shower curtain is closed, this is what you see anyway! It is also more functional than sheetrock because it will resist water spots and mold a lot better.